To apply for a passport or a report of birth for your newborn child, go to your installation Passport Agent. The Installation Passport Agent will assist you in completing your forms and ensure that the proper documentation is attached for speedy processing. The Installation Passport Agent will forward the completed forms to the American Consulate General in Frankfurt. The Consulate in Frankfurt and other consulates in Germany, as well as the Consular section at the Embassy in Berlin, are not authorized to accept forms directly from Military personnel and their family members, U.S. civilian employees and their family members or ID card holders with full-benefits (MWR, Commissary, Unlimited Exchange, etc.). Once receiving the application from the Installation Passport Agent, the Consulate will send your forms to the United States for processing. 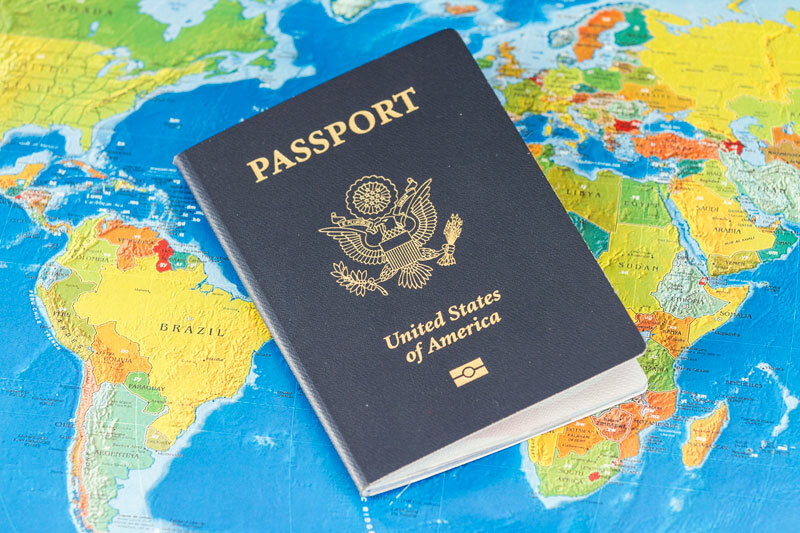 Turnaround time in non-peak travel season averages four to six weeks after the Consulate has received a properly completed passport application from the Installation Passport Agent. However, turnaround time during peak travel season - traditionally March to August - may cause the processing time to be lengthened significantly. The consent of both parents is required for a passport to be issued to a child under the age of 16. If one parent is absent, a notarized statement of consent from the absent parent must be submitted with the passport application. Under certain circumstances, deployment orders and some powers of attorney may be substituted. Parental consent issues can become complicated. Contact your Installation Passport Agent for answers to questions regarding child custody matters as they pertain to passport issuance. For security reasons, all full-validity U.S. passports processed through the Consulate General Frankfurt are printed at a stateside Passport Center and are made with a photo-digitized biographical data page. Plan ahead if you want a passport. Even if you do not have particular travel plans when you live abroad it is advisable always to have a valid passport in case of an emergency. Remember that no consulate or embassy overseas can give you a passport on the spot, except under very limited circumstances. Consulates still have the authority to issue emergency or limited passports, but these passports are for verifiable emergency purposes only, are limited to a maximum of one year, and cannot be extended. Emergency circumstances, such as death or grave illness in the family, must be verified with a Red Cross message. PCS moves to the United States do not qualify as emergencies. If you need further clarification, contact your Installation Passport Agent on base. Service members, family members, and DOD contractors may pick up complete copies of the relevant regulations from their Personnel Office or can find the pertinent information on the Embassy website at https://de.usembassy.gov/u-s-citizen-services/military-families/ or https://de.usembassy.gov/u-s-citizen-services/dod-id-card-holders/ . On this web page you will also find the address, operating hours and phone numbers of all the Passport Agent offices on military installations in Germany. The status of persons with dual citizenship sometimes raises questions among persons located in Germany, whether as members of the military or civilians. Both the United States and Germany recognize the concept of multiple nationality. A child born to an American parent and a German parent acquires both American and German citizenship at birth, regardless of place of birth. Neither country requires a person born under these circumstances to choose between American and German citizenship. They may keep both for life. A child born in Germany to two American parents may also become a dual national at birth. But under German law, such a person has to choose between American and German citizenship before turning 23. While Germany recognizes the concept of dual nationality, for most purposes it considers a dual national in Germany a German citizen only. Thus, the ability of the U.S. Embassy and consulates to provide assistance to an American-German dual national in Germany may be limited. The reverse is true in the U.S., where such a person is considered only American for most purposes. Both countries have certain laws pertaining to dual nationals. American-German dual nationals may owe taxes in both countries. They must file an annual U.S. income tax return, regardless of whether or not they owe taxes to the U.S. or pay taxes elsewhere. And they must have a valid U.S. passport in order to enter the United States. An American-German male must register with the U.S. Selective Service System within three months of his eighteenth birthday, and is not necessarily exempt from German military service. None of that, however, affects his dual citizenship. The rules are sometimes complicated. For more information contact the American embassy, your nearest American consulate, or your local Staatsangehörigkeits-behörde or Standesamt. The German Embassy in the USA has good information on obtaining German citizenship. Click here to find out more. The Germany Embassy in the United Kingdom also has good information on obtaining German citizenship. Click here to find out more.